Lori creates functional works in stoneware and porcelain from her home studio in Kitchener, Ontario, Canada. She has been a member of the Waterloo Potters' Workshop since 1992. Studies at the Workshop, the Haliburton School of Fine Arts, and with other potters have expanded her craft in variety and dramatic colour. 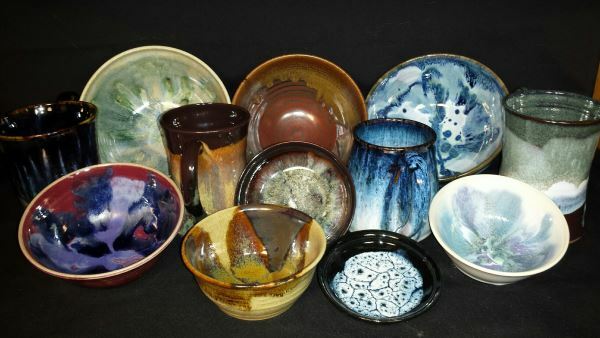 Her specialty is glaze development, and this is reflected in the exceptional variety of colours and textures that she produces. Working in both electric and gas fired media, Lori has a wide palette from which to choose. Her creations are always "one of a kind". 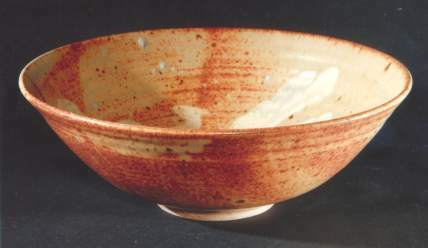 Lori makes all of her own glazes, and uses only safe, and notably food safe, materials. 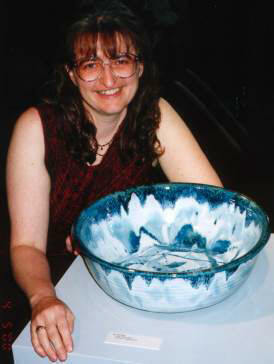 Lori received the 1994 Novice Award as a member of the Workshop, and her pieces have been selected for exhibitions at the Canadian Clay and Glass Gallery, the Homer Watson Gallery, Wilfred Laurier's Langen Gallery and the Harbinger Gallery. Lori and her work has been featured in the 2013 documentary Pots of Rainbow, by videographer Janessa Wu. Lori's pottery is sold from her home gallery (near downtown Kitchener) and at her annual fall sale. Since 2001 Lori's sale has been part of the Frederick Art Walk, an annual Kitchener artisan's tour and sale, held on thne second Saturday in November. During the Art Walk Lori also welcomes other artist/vendors into her home. To comment on this site please write webmaster@jloripottery.com.